Running to a PODIUM Finish! First-Place Paratriathlete John Young at the Triathlon at Lake Pearl in Wrentham, MA. At four feet four inches, John Young is a Little Person. A dwarf. But he's long on endurance, and big on Getting It Done. He's run the Boston Marathon. 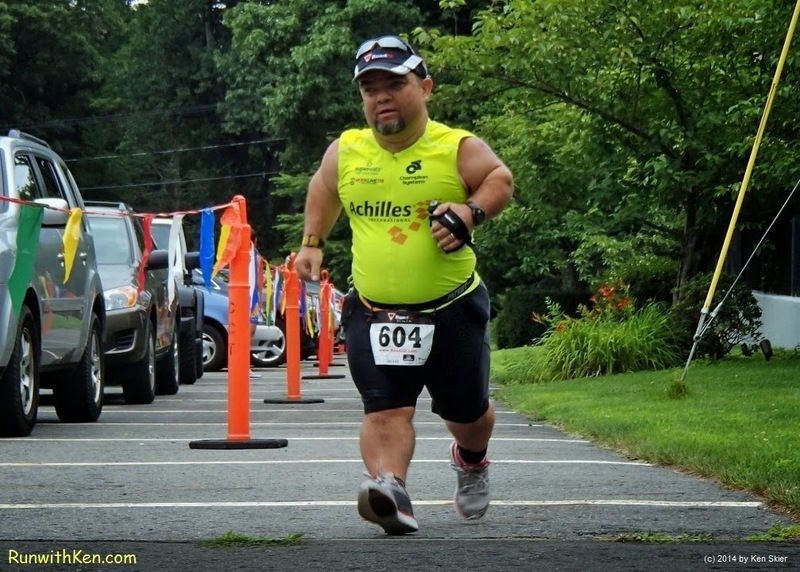 This Sprint-distance Tri is just a tune-up for John! First-Place Paratriathlete in this race. accomplishments as an endurance athlete?